Which Power Companies do we compare? How do we list power deals? What is the Power Compare rating? How accurate is our power company information? Our power comparison tool is easy to use and you can tailor your search to include the most important features for your power plan. You can filter the available power plans at your address to find the perfect power plan for your requirements. We compare hundreds of power deals available in your area from the big boys like Contact Energy and Genesis Energy to the new breed of power companies like Flick Electric, Nova Energy and Energy Online. Just pop your address into our power compare website and in a matter of seconds, you'll be able to compare power companies and electricity and gas plans at your address… as well as view a range of the best power offers and power deals. If there's anything you want to know that isn't covered on the Power Compare website, drop us a line on Facebook or Twitter, or contact us another way, and we'll get right back to you. Power Compare is part of NZ Compare, which is a trading name of Global Compare Group Limited, an independently owned business based in Auckland, New Zealand. Power Compare manages a comprehensive database of power plans and NZ power companies from right across New Zealand. We currently compare over 25 different power companies and a wide range of different power plans from those companies. We list power companies for electricity and gas as well as those power companies that offer broadband internet. You can find a complete list of all the NZ power companies listed on Power Compare below. This list displays everyone from the largest power providers like Genesis Energy and Contact Energy to other established, tier two New Zealand power companies like Mercury Energy, Trustpower and Meridian. We also feature the innovative new power retailers who can offer some serious savings on your power with their power deals. These are companies like Flick Electric, Electric Kiwi and Paua to the People. You can find out what makes these power companies different in their company profiles from the links below. If we are missing a power provider on Power Compare then do please get in touch and let us know. We will then make contact with them and add them to our NZ power comparison website. Here at Power Compare we compare power providers across New Zealand to ensure that you can find the best NZ power provider for your needs. You might be looking for the cheapest power, the greenest power company or a power company with award winning customer service. Our power comparison website will help you find it. Since launching our first NZ Compare website, Broadband Compare, in June 2016 we have come to understand the requirements of a household in selecting a new utility provider. The team at NZ Compare have taken their learnings from Broadband Compare and applied them to our new power comparison website to help Kiwis to compare power companies and compare power plans in a quick and simple manner to, above all, help you save money when you sign up with a new power company. The default listing of power plans on our power comparison results page is according the Power Compare rating. The Power Compare rating is based on a number of factors including user reviews on the Power Compare website, features and benefits a power company offers, such as smart meters, green energy or loyalty points and the introductory offer and sign up deal that is available for switching power company. Power is one of the biggest expenses in a household and as with any major commitment; it is worth double checking terms like contract length and any promotional periods. We do clearly state all major terms and conditions on any special offers we list but you must do your own due diligence to ensure that the power offer is right for you. Power Compare does not incorporate electricity prices on a kWh basis into our rating as these vary across the country and are an additional factor you should also research before making a switch. At Power Compare we do occasionally have some sponsored listings, such as the featured providers, featured deals and employee picks but these don't influence the results our power comparison website will show you based on your address and requirements. The Power Compare rating is a score from 0-100 which is calculated by matching the best power promotion for your particular power company and plan requirements. We are often asked 'what is the best power plan in NZ' or ‘who is the best power company in NZ?’ and there is no clear winner as this varies according to the user, their requirements and what they value as most important in their power plan. The Power Compare rating is based on a number of factors including user reviews on the Power Compare website, features and benefits a power company offers, such as smart meters, green energy or loyalty points and the introductory offer and sign up deal that is available for switching power company. A large part of the Power Compare rating is based upon these introductory offers and the best power deal as based on the Power Compare rating will often be based upon the dollar value of the promotion offered. The Power Compare rating may change for each Power Compare user as they will have a different address and a different set of requirements and elements that are of most importance. The Power Compare rating does not take into account your actual energy consumption and does not currently incorporate electricity prices on a kWh basis into the rating. The majority of New Zealander consumers who switch power provider do so at a point when they move house or due to a major change in life circumstances. At the point of moving house you will not yet know the average energy consumption or the average bill for the new property, as such we heavily weight the Power Compare rating towards power companies who have introductory offers and new sign up offers for power switchers that offer, in our opinion, the greatest value. For each New Zealand address and set of user requirements we recommend the best power plan for you. The Power Compare technology checks your requirements with all the NZ power companies listed on Power Compare. We then determines the suitability of different power plans based on the range of factors that you set. These include your property address, prompt payment discounts, payment options and available bonuses or value adds. As a simple summary, the higher the Power Compare rating the better suited we think that power company and power plan is to your needs. We do not charge you for any of the services that we provide on our website. Power Compare receives advertising fees and referral commissions from a number of the power companies that appear on the Power Compare website. This referral fee or commission does NOT increase the cost of any power package, electricity or gas plan that you might sign up to via the Power Compare website, on the contrary, a number of NZ power companies have partnered with us to promote exclusive power plans and offerings that are unique to Power Compare. We only feature power providers that comply with our strict listing criteria in order to ensure the high quality and comprehensiveness of the power companies that we list and this is regardless of whether they pay us commission or not. Our commercial arrangements have no impact on how we list the power companies or power plans that appear in the results that are provided for your NZ power comparison. The default results from your power comparison are listed by the Power Compare rating, but if you have other preferences, you can select alternative ways to rank the results, for example, by consumer customer reviews that have been left on the Power Compare website. The ‘RECOMMENDED POWER DEALS' table on the Power Compare homepage contains provider sponsored listings selected by Power Compare. For the wider list of power companies and power plans, sorted according to your chosen criteria, you can enter your address in the ‘Check your address’ field on the homepage. We are dedicated to providing informative, impartial content that offers true value to Power Compare website visitors. The data we push out of Power Compare is only as good as the data that we can put in. We regularly check and monitor all the power companies across New Zealand and we get the relevant service areas and power availability information, primarily for the company’s own website. The Power Compare database of power plans is being updated all the time as plans change and offers and process fluctuate. We aim to provide as accurate and up to date data as possible but it is important to remember that power plans and pricings do change and are subject to individual provider’s terms and conditions for provision at a specific address. 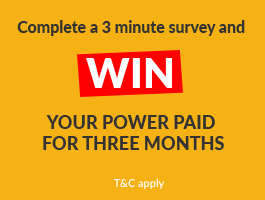 We strongly recommend that you try Power Compare and if you do have some ‘weird’ results then do not hesitate to contact us where we will be able to confirm offers and promotions for specific power companies at your address and help ensure that you are on the most suitable power plan for your needs.